Before finalizing a divorce, it's important for individuals to consider obtaining a financial order – which can help prevent ex-spouses from making financial claims in the future. When it comes to divorce, the main misconception is that when a couple separates, their shared financial arrangements then come to an end. But this is not true. However, when a divorce is eventually finalized – also known as a Decree Absolute – there are no changes made to the financial arrangements. 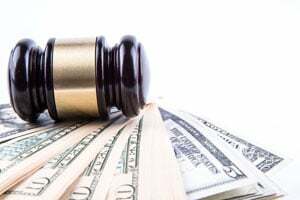 A recent case brought financial orders in divorce into the limelight, proving just how important a financial order in a divorce really is. As reported heavily in the media, the Wyatt v Vince case changed the way that we view financial orders and paved the way for many other couples in similar situations to view their circumstances to see if they could apply to the courts for a financial provision in much the same way. The couple – who had married in the early 90s and had a child together – became divorced two years later, but they failed to obtain a financial order. Ten years had passed since they became divorced and the husband started his own green energy company, turning it into a successful multi-million-pound business. The wife, however, continued to a live a comfortable yet modest life but had no hand in the success of her ex-husbands green energy business. This did not stop her from applying to the courts for financial provision in 2011. The case made it all the way to the Supreme Court where it was agreed that the case should be heard. Currently, no decision has been made with regards to the financial provision and it is looking like she will be unsuccessful in being awarded a large chunk of her ex-husband’s fortune. The case does, however, show that there is no time restriction on when a claim for financial provision can be made following a divorce. If a financial order is not put in place, then there is always the possibility that a claim could be made at any time. This is down to the fact that the finances of a couple become joined when they become married, and this means that the only way to cut those ties is to use a binding court order to terminate them; however, it is possible that financial claims could be ended should remarriage occur. In the example of the Wyatt v Vince case, although possible, it is uncommon – but it does highlight the potential risk of having claims submitted against the finances of the other partner should a financial order not be put in place. This can take place at any time and is likely to do so should assets, shares or savings increase significantly. This is most common in situations where one party has gone on to start a successful business, sold properties for a large profit, or they have come into any other sort of cash windfall. For those who are currently going through the divorce process, it would be beneficial to them to obtain advice on how they should handle their finances and how they should look to obtain an order while the divorce is ongoing. There are other options available to safeguard your assets such as pre- and postnuptial agreements – and although these documents are taken into consideration by the courts, they aren’t legally binding, which makes a financial order a far safer option. For those who already divorced without a financial order, they should look to obtain one as soon as possible to reduce the risk of any claims being made in the future. This also applies to those who plan to remarry in the future, as this can have a severe impact on the outcome of a financial order and, in some cases, it may also bring an end to financial claims altogether.